WOW! What a breath-taking read. This writing, this story, this author…just wow. Anna Quinn is an incredibly brave author for tackling the story line that she did. Let me rephrase that- the TWO elements that she wrote about is huge. Not only that, but she did it so eloquently and very sensitively (if that is at all possible). I can hardly believe this is even her debut novel. It was just heart wrenching. At times I was very uncomfortable. I worried if I could read it all without skimming but after a couple of tries I successfully did it. It’s not for the weak of stomach. The topic the author touches on is enough to break even my heart in two and it did. The story, the characters, it all just broke my heart. Mental health is always so intriguing for me so when I read books about them I like for them to be carefully thought out and not just thrown around for dramatic effect. Anna did a fabulous job letting the words just go where they needed to. It wasn’t dramatic and it wasn’t rude or blunt it was just what readers want to experience. Sort of just wrapping you up and making you warm. Her words were what needed to be said. 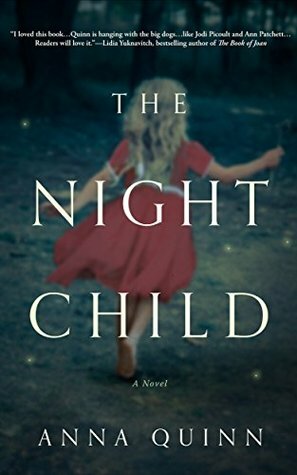 The Night Child was a touching and at times disturbing story dealing with the upmost heart breaking situations in a very believable way. Not dramatic in any type of way which earns so much respect from me. Bravo, Anna! Great book, great read.